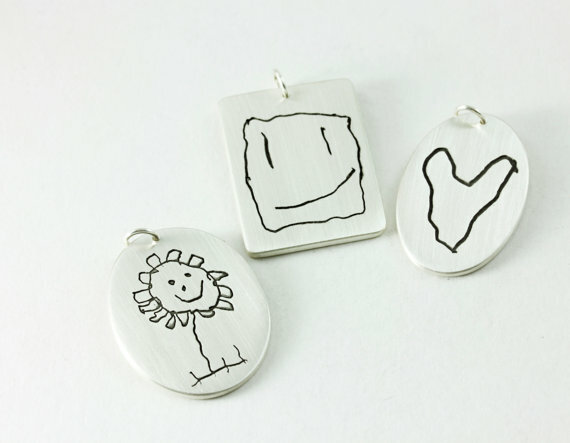 One of my favorite Mother’s Day gifts–or Father’s Day gifts or holiday gifts, for that matter–is taking my kids’ artwork and having it turned into something custom and special, whether it’s jewelry or a key chain. 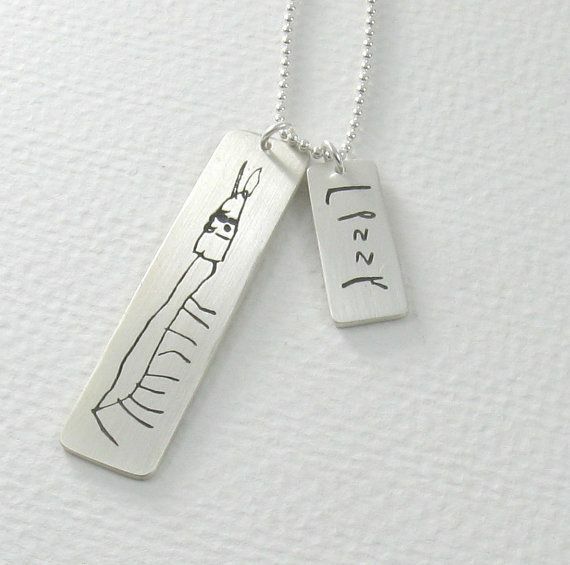 I’ve now ordered custom jewelry from kids’ artwork from Metalmorphis quite a few times, and can’t say enough wonderful things about Kim’s work. Send her a good scan of a drawing, signature, or doodle (she will send it back if it’s not high enough quality, trust me!) and she’ll turn it into a silver pendant, a dog tag style necklace, a custom key chain and more. 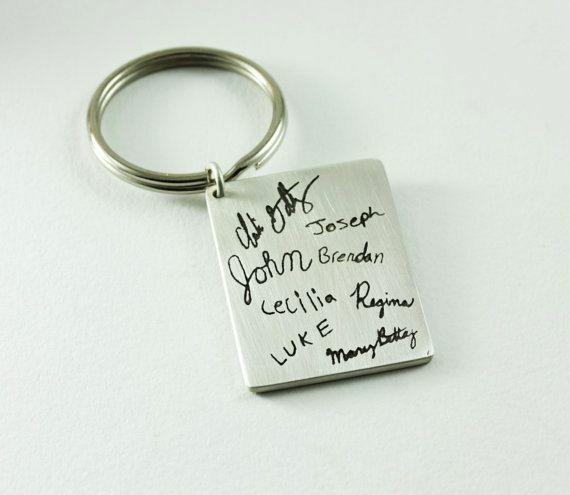 I love the idea of her muti-signature key chain for a grandparent–get all the grandkids’ signatures digitally, compile them into one page on your computer, and send it off to Kim for a fabulous gift for a grandmother, or the mom of a bigger brood. 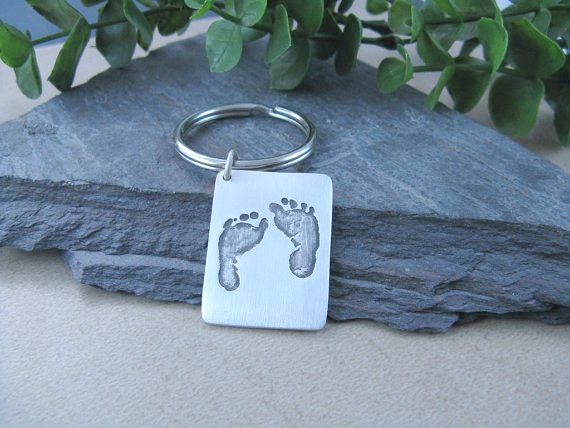 Or, send in your baby’s actual footprints or handprints, and you’ve got the most awesome new mom gift for Mother’s Day ever. Whatever your idea, she’s fabulous to work with, meticulous in her craftsmanship, and loves custom orders so if you’ve got a Scottish family crest or something? Send it her way and see what she can do with it. It’s really high quality silver, and not cheap; although not quite Tiffany-level either. This is stuff that’s made to last if you keep it polished and in good shape. Now I will admit that personally, I’m not a big fan of ball bearing chains on a necklace unless you’re going for a dog tag style. Still, you can order a pendant separately and wear it on a favorite chain, black satin cord, or attach it to a charm necklace you already own. Either way, it’s such a special way to wear your kids close to your heart. Or your wrist. Or your car keys. 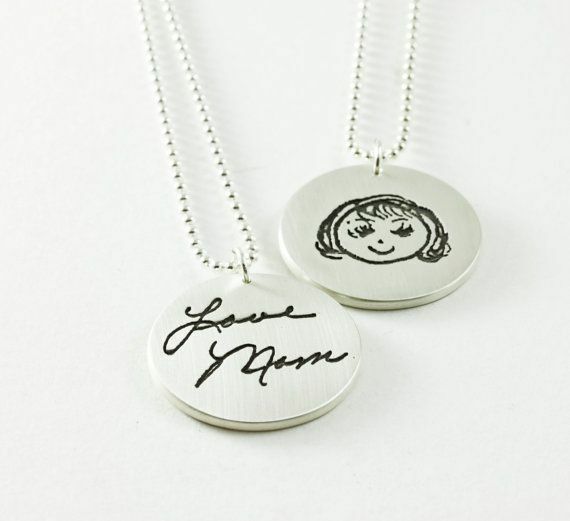 Find keepsake jewelry for moms and custom jewelry from kids’ artwork online at Etsy’s Metalmorphis. If you need a rush order, convo Kim and see what she can do; she’s awesome. 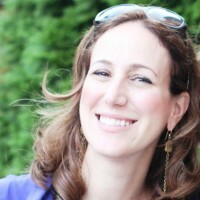 Perfect for a mommy! I’m so in love with this! So great to always remind me how my baby was so little when we get older!